“The World of Folk Evening” opening set videos now on show! Six video clips of the opening set of the AAMF’s inaugural “World of Folk Evening” are now available for viewing on the AAMF youtube channel! Thanks go to Julie Robitaille for providing the original video footage for these 6 clips. AAMF 2014 photos now on display! Please feel free to share your photos and videos of the AAMF Concerts with us on our AAMF Facebook page. Congratulations to the “Classics and More!” concert performers! 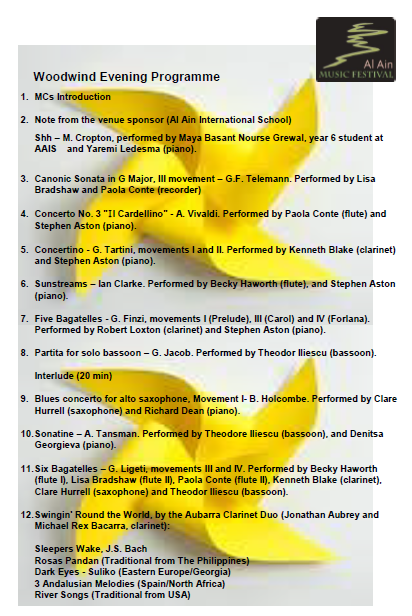 Congratulations go to all of the performers for providing us with such enjoyable performances last Friday evening! 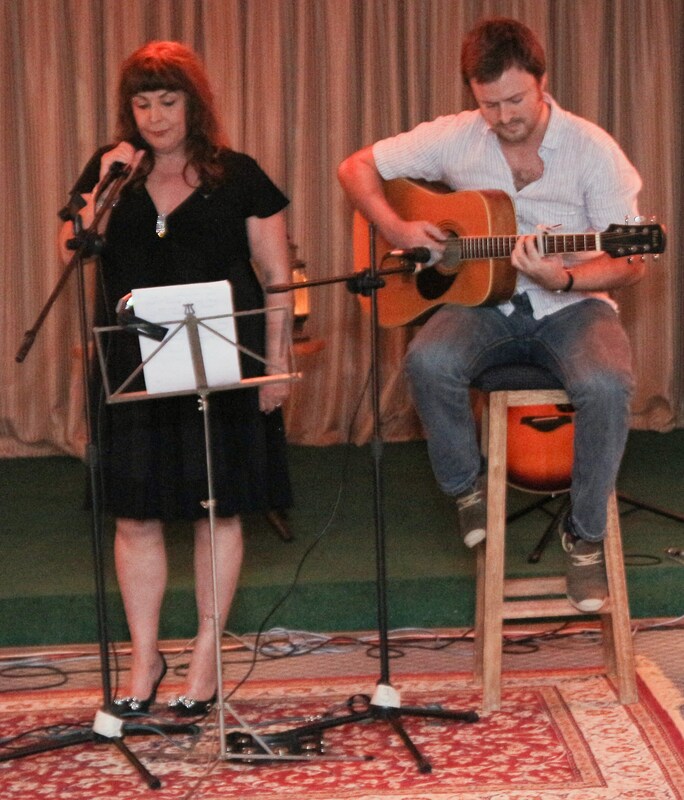 The audience of around 200 people was entertained thoroughly! The House of Arts‘ music teachers performed splendidly during the first half of the “Classics and More: Selected Music of the 20th Century” concert. Their performances were followed by a fine variety of pieces by the Al Ain Chamber Orchestra a t the Al Ain International School on 21st November. 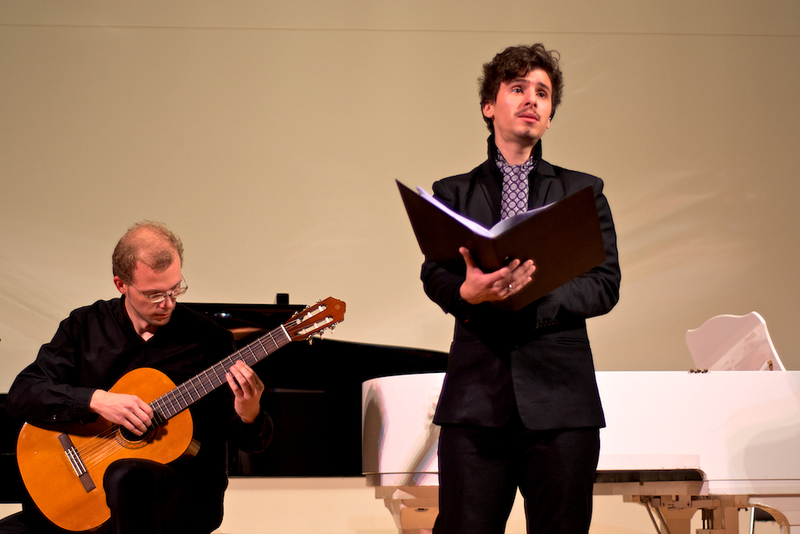 This concert provided a very fitting climax to the AAMF 2014 series. Denitsa joined the House of Arts’ team in 2009. She had previously graduated in the National School of Arts in Ruse, Bulgaria with opera singing and piano performance degrees. She then continued her music education at the State Academy of Music in Sofia, where she also had her first teaching experience. 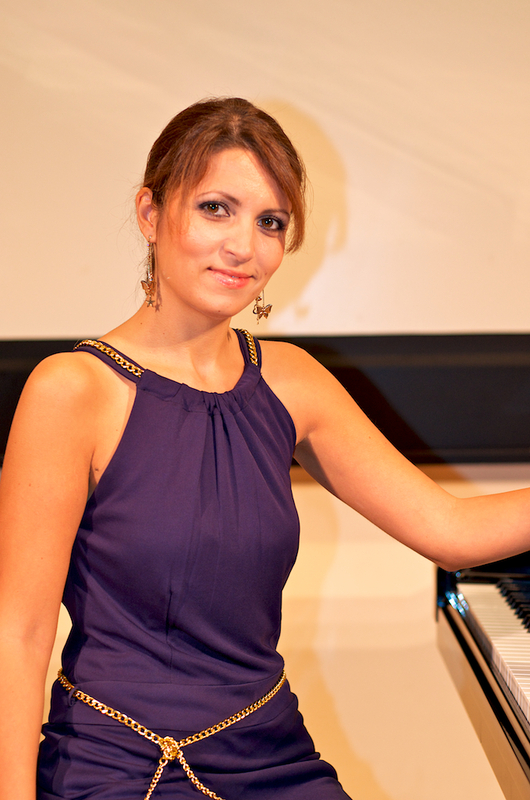 Subsequently, in 2008 Denitsa gained a Masters Degree in Piano Performance. During this period she performed in many concerts, master classes, won many piano competitions and made recordings for the Bulgarian National Radio. Natalia joined the House of Arts last September. She is originally from Odessa. Her mother was a professional pianist, and taught her daughter. 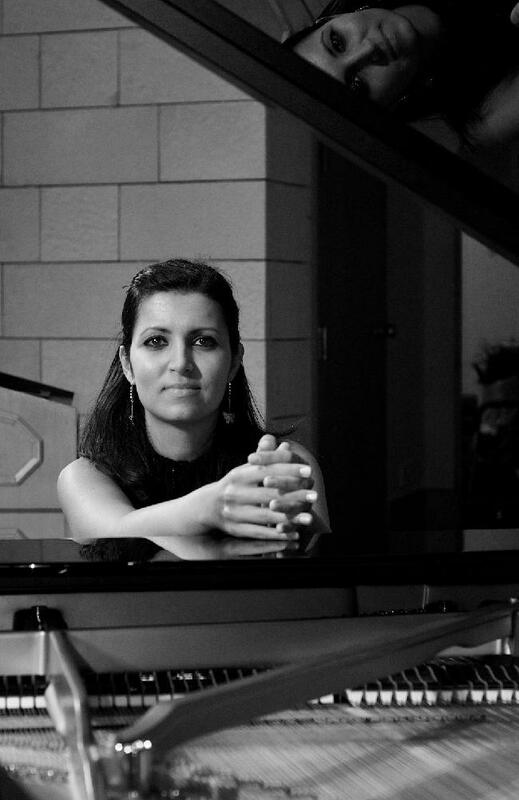 Natalia has toured Europe in orchestras and has played professionally in South Korea. Teodor, a Romanian, joined the House of Arts in 2013. He had graduated with honours in bassoon orchestral and solo performance from the Birmingham City University Conservatoire in 2012. Teodor has been a singer in numerous vocal ensembles, professional choirs and as a soloist. And now he is the new leader of the Al Ain Chamber Orchestra! 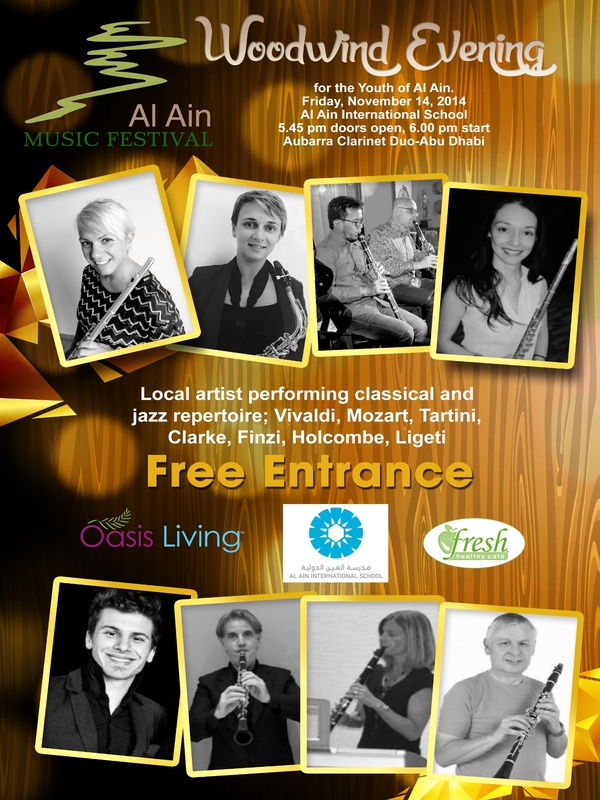 Dan Turcanu, his predecessor as leader of the local orchestra, is returning to Al Ain for this concert performance, too. We welcome Dan back to the Garden City. He was also a music teacher at the House of Arts not so long ago. 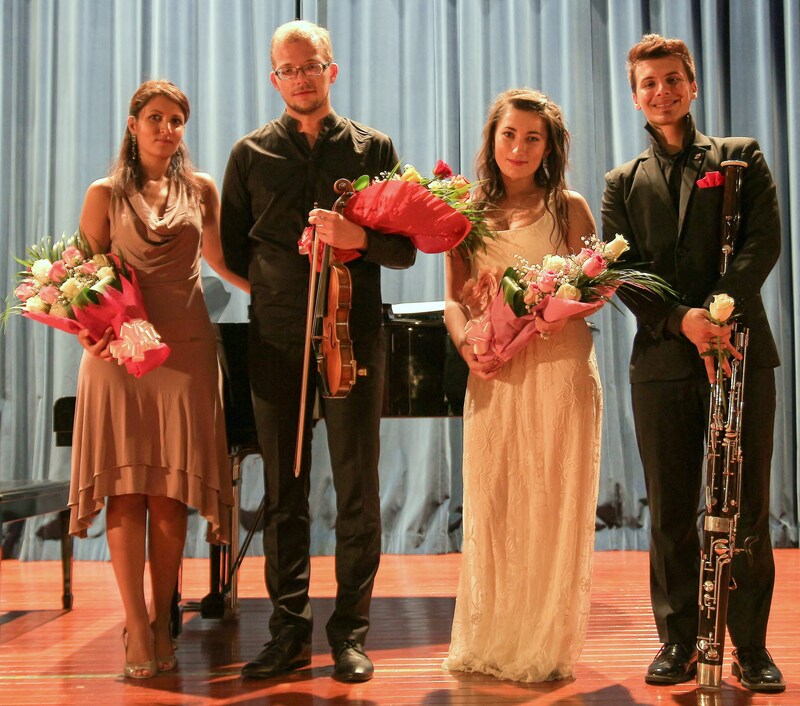 Dan graduated from the Bucharest National University of Music in violin, piano and classical composition. He worked as a violinist and conductor assistant in various orchestras and chamber ensembles in the European Union and also in the United States. 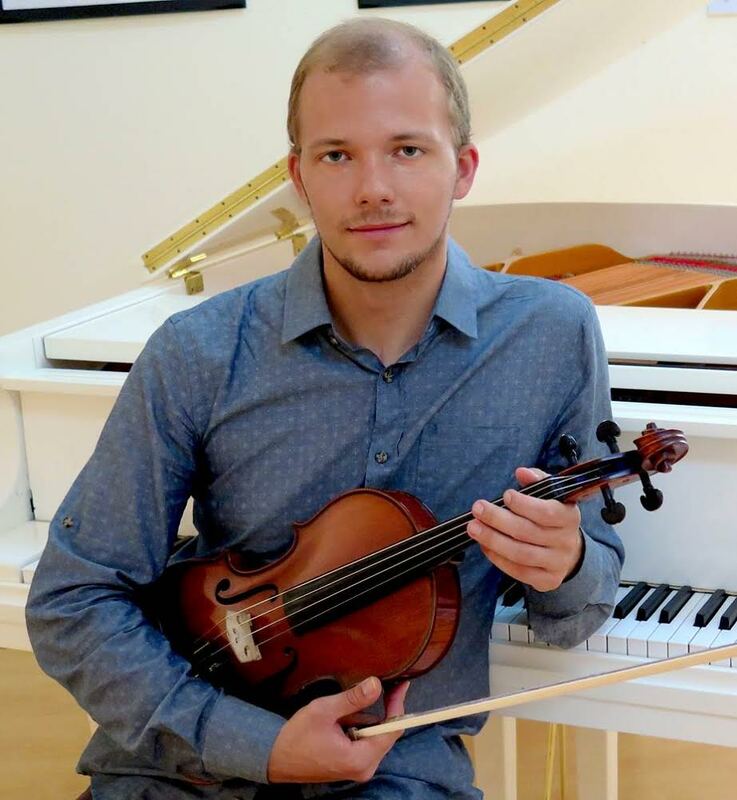 His teaching experience ranges from ‘Music Theory and Harmony’ to ‘Violin’ and ‘Piano’ tuition. He has experience in teaching guitar to children with disabilities, too. 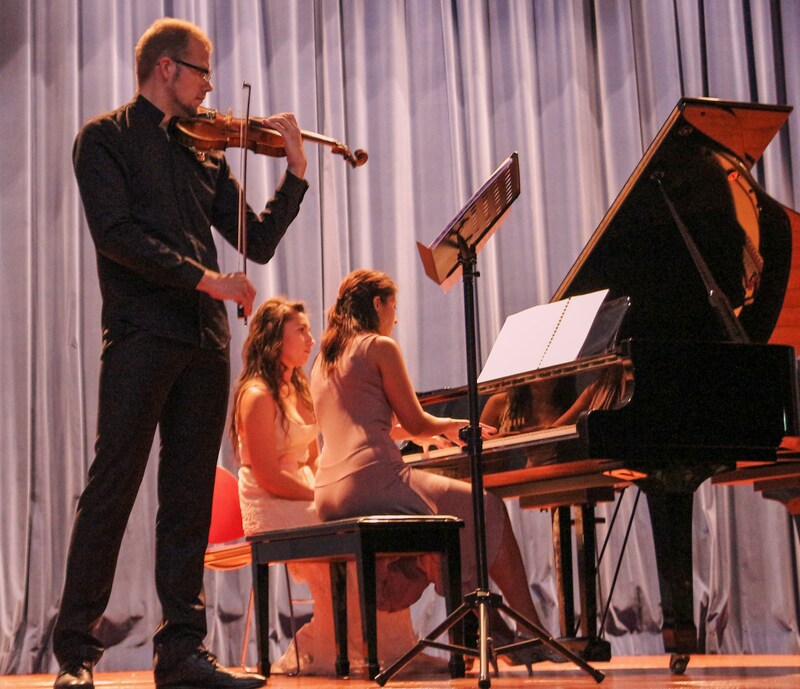 Mr. Dan has participated in violin and classical composition competitions, receiving numerous awards; many of them for pedagogical works such as modern compositions for beginner violinists and other string instruments. 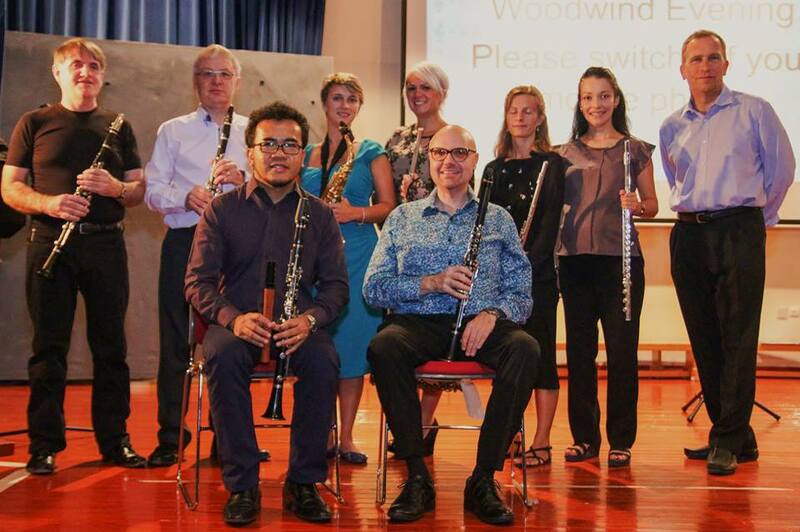 He has arranged a number of the pieces performed by the Al Ain Chamber Orchestra. The “Classics and More: Selected Music from the 20th Century” concert starts at 7:30 pm. on Friday, 21st November at Al Ain International School, Salam Street, Sarooj. Once again, thanks to the generous support of our sponsors, admission is free. “Classics – and More: Selected Music of the 20th. 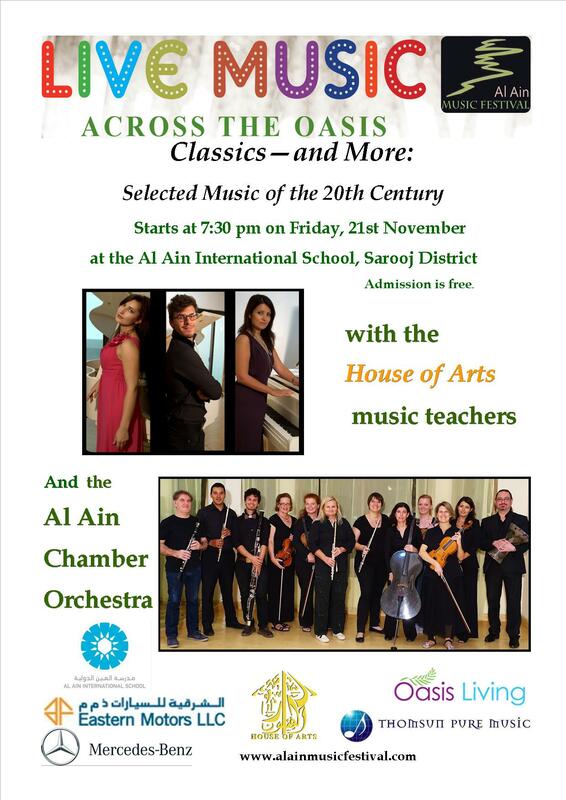 Century” will be performed by the Al Ain Chamber Orchestra and music teachers from the House of Arts Institute on Friday, 21st November. The venue is the Al Ain International School, Al Sarooj district, Al Ain. This concert starts at 7:30 pm. Admission is free. Don’t miss out on this fine concert – the final one of the AAMF 2014 series! 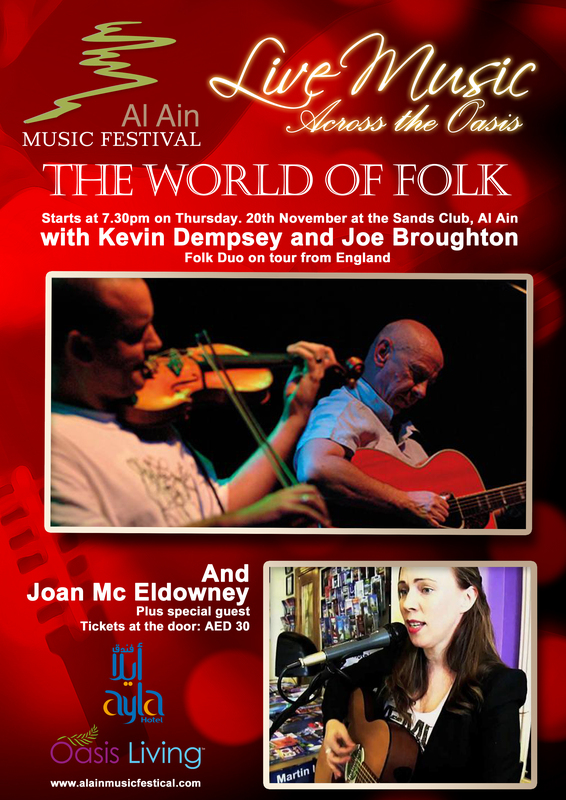 Kevin Dempsey and Joe Broughton are performing on Thursday, 20th November at the Sands Club – along with Joan McEldowney at the inaugural AAMF “World of Folk Evening“. There’ll also be a short opening set by a couple of local guitarists making their stage debut in Al Ain: Mark Southan and Gabe Canazarro. The concert starts at 7:30 pm.Tickets available at the door AED. 30. One not to be missed! 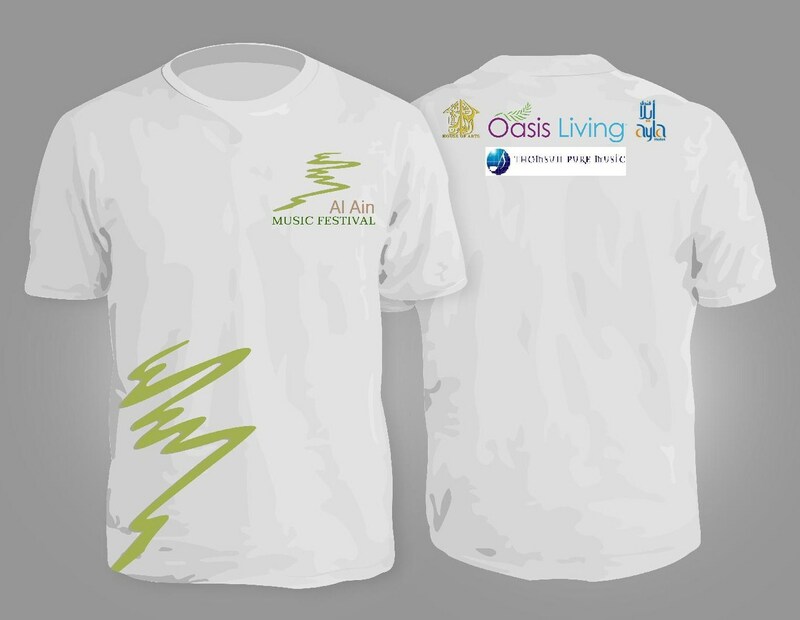 The “Oasis Living” magazine is now running an online prize draw competition! Win free tickets for this concert + a free official Al Ain Music Festival T shirt!! New flyer for the Woodwind Evening! Please feel free to share it in the remaining few days before the concert! Doors open at 5:45 pm -please don’t arrive late for this popular free concert! Now, as they did in last year’s Grand Finale, the House of Arts’ musicians will be performing along with the Al Ain Chamber Orchestra, on the final night of this year’s Al Ain Music Festival. You will hear not only Teodor Valentin Iliescu’s voice, but also his main instrument, the bassoon, in a solo performance, as well as in ensemble pieces. 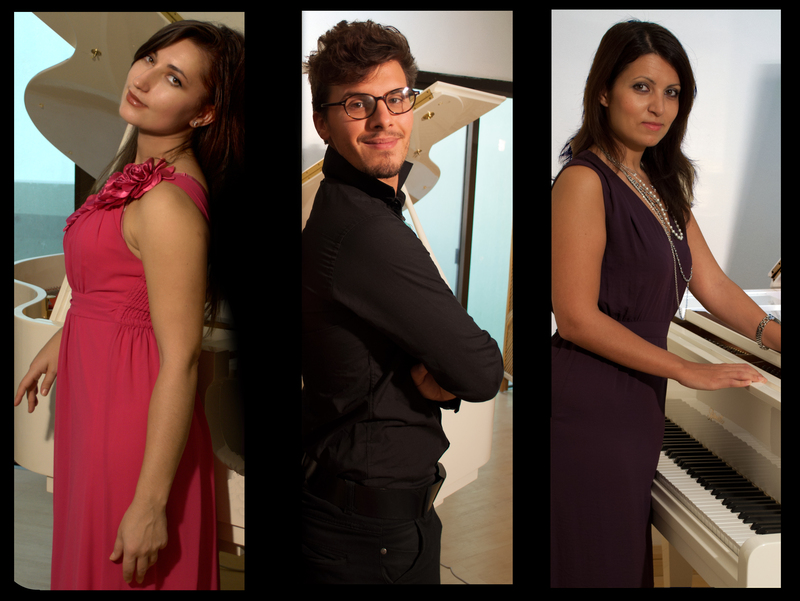 The pianists Denitsa Georgieva (on right, in photo) and Natalia Shvets (left, photo) will perform with two hands and four hands, and will certainly dazzle their audience with virtuosity and musicality. Dan Turcanu (lower photo) on the violin will be joining the team again. And so, with compositions by George Gershwin, Claude Debussy and Gabriel Faure, next to several others from the 20th century, you can look forward to an evening of high-level and highly entertaining performances. “Classics and More: Selected Music of the 20th Century”– on Friday, 21st November, starts at 7.30 p.m. in the Auditorium of the Al Ain International School, Sarooj District, Al Ain. Don’t miss out on this great free concert! Congratulations to the two choirs! 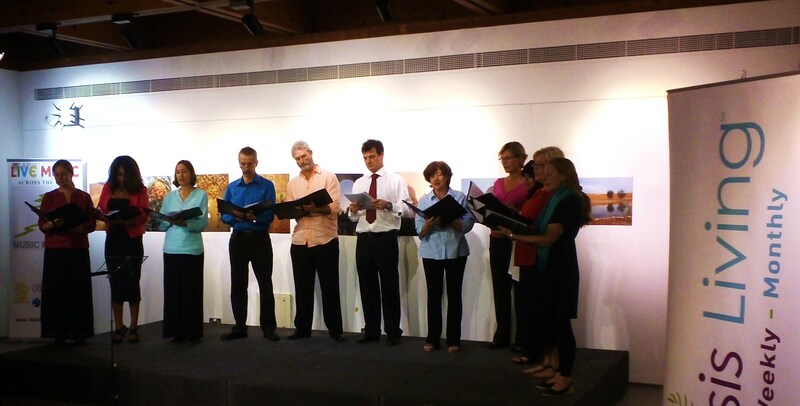 Congratulations to both choirs for their splendid performances last night at Al Qattara Arts Centre! Al Ain Choral Society and So Sing! combined forces to enthral their audience for almost two full hours throughout an imaginative collection of pieces.